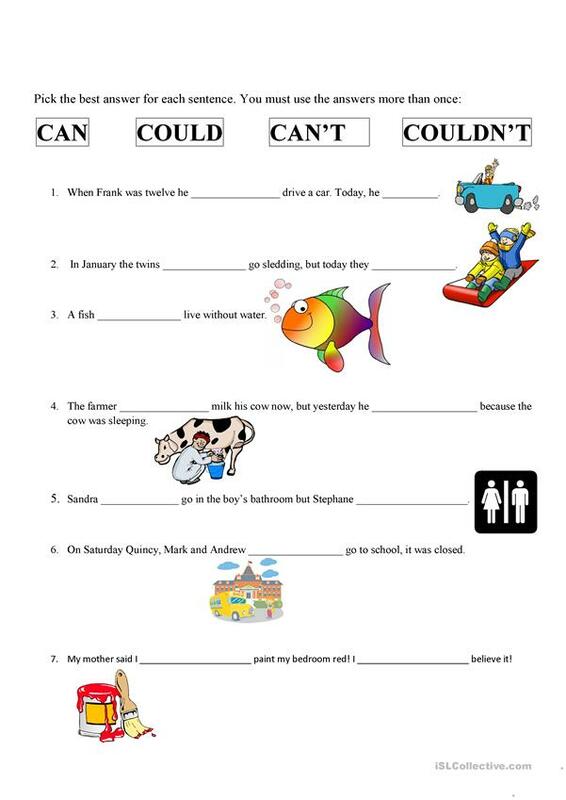 This is a review sheet to practice the concepts of can, can't, and the past tense forms of could and couldn't. It would serve only as a exercise, and not a complete explaination of the modal itself. This printable, downloadable handout is a great resource for elementary school students at Elementary (A1) level. It is valuable for practising CAN or COULD in English, and is useful for enhancing your learners' Reading skills. It features the topic and words of Actions. kalythe is from/lives in Canada and has been a member of iSLCollective since 2015-03-19 12:54:22. kalythe last logged in on 2019-04-23 14:30:52, and has shared 12 resources on iSLCollective so far.